Marketing messages and ads are all over your social media feeds. This popularity allows social media to be one of the most cost-effective and widespread communicating methods, especially for businesses. Any eyecare practice that isn’t present online is missing out on potential patients, as many customers will go straight to the Internet for any information or advice they need. 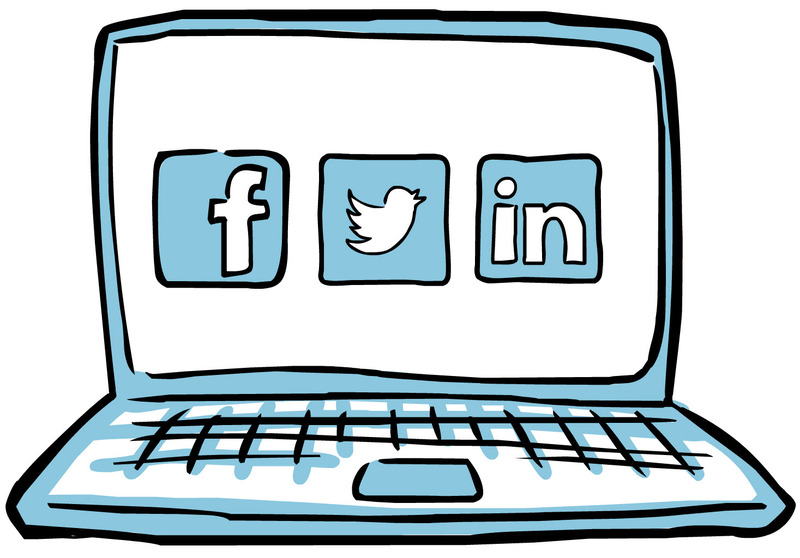 Your optical practice can benefit and grow from a strong social media presence, and it’s not as difficult as you might think. There is no template or “best” way to organize your practice’s Facebook page. With every post or photo, you’re developing your own digital footprint and personal brand. When deciding how to set-up or improve your Facebook page, realize it’s up to you and how you want to convey your voice. We're showcasing these 6 Facebook page examples as best practice models to help guide your practice’s social media in the right direction and improve your presence online. Applications and tabs are integrated and easy-to-use on Facebook pages. If you’ve been in the social media world for a while, having an appointments tab on your optical practice page is a great place to start beefing up your presence. Online scheduling helps give new and existing patients a simple way to make online appointment requests. Complete Eye Care is an optical practice that taken advantage of this. They’re utilizing an add-on app to help ease the process of scheduling an appointment, and allowing for more efficiency among staff. Giving multiple outlets to schedule, or request appointments helps keep customers happy. When building your online brand, a way to communicate differently than you would on social media is by blogging. Posting ideas, educational health information, and strategies can help establish your practice as a thought leader and allows plenty of room to be creative. Wing EyeCare is not only using an app to link and promote their blog, but they also post their own blogs on their page. This helps integrate your social media channels and could be a great strategy for leading people to your website. It's hard to make your post stand out in people's crowded feeds. Information can easily be overlooked, so grab your audience’s attention by posting information about the local community. People are much more interested in things that directly involve them and their city. It’s a great way to build relationships that can lead to referrals between you and other local businesses. Prairie Eye Clinic is a great example of how to accomplish this. They have posts about the University of South Dakota, as well as holiday events around town. More often than not, the things you support in your community will resonate with your patients, too. One of the easiest ways to cultivate your online brand is showing off your stellar staff. Let your patients and potential patients know that they are in good hands by highlighting everything great about your team. There is even an app for it on Facebook that can make your staff information look sharp and organized. Eye Country does a great job of this and is able to give insight and credibility into what their practice is all about. Posting material that sparks a conversation is exactly what your practice should be striving for. Patients interacting with other patients on your page leads to positive word of mouth and buzz. With the way Facebook algorithms are set up, the more people that are interacting with your post, the more visible it is to others. Outside contribution to your page helps differentiate your Facebook page from others, and can lead to a stronger brand. Optometrists Today’s Facebook page is full of content that asks questions to create conversation among their followers. One of their posts has 39 comments! This many comments means they will have people re-visiting multiple times to contribute more, because a popular post is more likely to pop up on their feed. In-store foot traffic is hard to come by these days because of online shopping’s popularity. Some practices are becoming more of a showroom than a business. However, you can use your online presence to increase your store traffic. Posting promotions to your page informs your patients at no cost! Most practices have discounts or holiday sales so why not let more people know about it? Eye Care Center integrates promotions, new products, and industry news into their posts. Some examples of their promotions are back to school sales, free LASIK consultations, and their grand opening for a new branch. Each practice is different though, so try to promote something that you know your specific audience will respond to. While all of these pages are doing things right, they are still all different. The main thing to remember is that you want to embrace what makes your practice or voice unique. Use your practice's attributes and some creativity to develop a page that represents what you believe in and how you help common patients in your practice. For more information and blog updates like our Facebook page.